“Pediatric Obesity: A Lifestyle Modification Approach” Indian Journal of Pediatrics, (2013): Trivedi, S., Burton, A., Oden, J. “Training Residents in Obesity Counseling: Incorporating Principles of Motivational Interviewing to Enhance Patient-Centeredness” Journal of Graduate Medical Education, (2011): 3(3):408-411. Burton, A., Agne, A., Lehr, S., Davis, N., Willett, L., Cherrington, A. “Primary Hyperparathyroidism with Low Intact PTH levels in a 14-year-old Girl” Journal of Clinical Endocrinology and Metabolism, (2011): 96(8):2325-9. Benaderet, A.D., Burton, A.M., Clifton-Bligh, R., Ashraf, A.P. Dr. Burton is a Dallas area native. She received her undergraduate degree at University of Texas at Dallas, where she was both an Anson L Clark Scholar as well as Silver Anniversary Scholar, graduating in 2000 with a B.S. in Biology and an emphasis in Neuroscience. She then attended Texas Tech University School of Medicine and spent her first 2 years in Lubbock and went through her clinical rotations in El Paso, Texas. 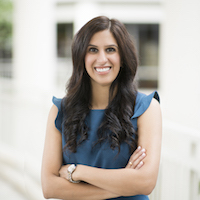 She moved to Birmingham, Alabama to complete both her Pediatric Residency and Pediatric Endocrinology fellowship. While there, she was active in volunteering in the community as well as at Diabetes Camps. 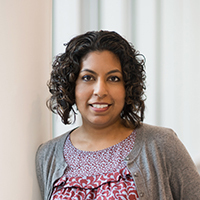 Her research interests during her fellowship included training residents in Motivational Interviewing for Obesity Counseling and the Effects of Growth Hormone on Lipid Levels in Children. After her fellowship was complete, Dr. Burton moved back to Dallas and began working for Children’s Medical Center of Dallas as an Assistant Professor in 2010. She was the 4th year medical student clerkship director and was also a full-time clinician until November 2013. Dr. Burton decided to venture out on her own and open up Pediatric Endocrinology of North Texas to provide personalized endocrine care for her patients while still balancing her family life. In her free time she enjoys running outdoors, baking with her 2 boys and being involved in church. Pediatric Endocrinology of North Texas specializes in Pediatrics and is conveniently located in Plano, TX.